CTV Windsor or CHWI-TV, branded on-air as CTV News for local newscasts and CTV Two for programming, is the only local privately-owned television station serving Windsor, Ont. The first transmissions reached the public on Oct.19, 1993. Owned by Bell Media and licensed to Wheatley, it broadcasts a high-definition digital signal on channel 26.1 in downtown Windsor and channel 16.1 in Essex County. It can also be seen on Cogeco Cable channel 6 in standard definition, on channel 803 in high definition, on Bell Satellite TV channel SD 585 and on Shaw channel 645, channel 99 in the advance lineup. The newsroom is located at 1149 Goyeau Street in the city's core. The signature 6 p.m. and 11 p.m. newscasts are broadcast live from there every weeknight. After being threatened with closure in early 2009, the community rallied behind the station. That July, CTV said it would review its decision to close CHWI and the company announced two days later it would remain on the air. 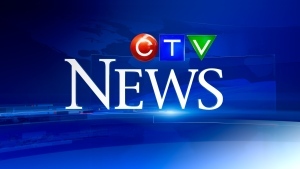 The A Channel brand was officially re-launched as CTV on Aug. 29, 2011. CTV Windsor is proud of its immense devotion to the community. The station and its staff contribute time and resources to a large number of community and regional charitable organizations. The station is widely known in Windsor/Essex and Chatham-Kent by its title- Windsor’s News Leader.